AMMONNEWS - The annual tax avoidance value cases is close to JD650 million, 38 per cent of which goes to sales tax evasion, Deputy Prime Minister and Minister of State Rajai Muasher said on Monday. The minister's remarks came during a meeting with heads of civil society and human rights institutions. He said the government was in the process of developing an inherently stable Income Tax Law through dialogue with various concerned parties. The new legislation would take into account the tax brackets, set a clear definition of tax evasion and those involved in it, Muasher told the meeting. 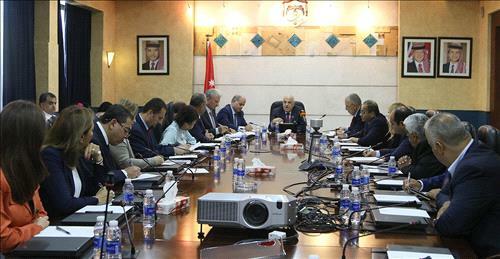 The attendees recommended a stable tax law, improved tax administration and to endorse legislation that harmonize with various Jordanian families.